Senior staff at cash-strapped Aberdeen City Council have spent nearly £200,000 on credit cards in the past three years. New figures show that a total of £199,713 was spent on eight credit cards since 2016 – a large amount on travel expenses such as flights, airport parking and hotels. Of the eight cards, four are held by the council’s city growth team, one by operations and protective services, one by finance and two by the travel team. In 2016, more than £37,000 was spent, in 2017, the figure was nearly £108,000 and in 2018, £54,000 was put on the cards, which are then paid off using other council funds. But they were also used to pay for the likes of a £119 Sainsbury’s bill, £686 at B&Q, £118 to clothes shop Jack Wills and membership of various trade bodies. The revelations come amid worsening financial times for the local authority, who had to shave more than £41million off their budget this month. A new travel policy was approved, as the authority looks to make savings of £125million over five years, to put extra scrutiny on travel arrangements for councillors and officers. Last night, Liberal Democrat Martin Greig said: “People will have question marks about financial control over credit card use. “The council should only permit expenditure which is proven to be essential. 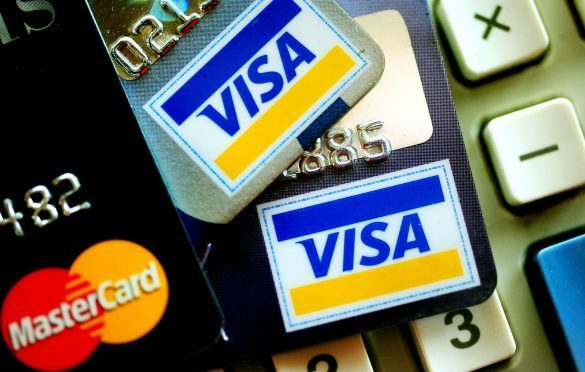 “The credit cards are an essential tool… and can sometimes lead to savings to the public purse. “But people will also be remembering the recent huge controversy about informal arrangements for MPs’ expenses. SNP resources spokesman Alex Nicoll said: “We supported a significant reduction in the foreign travel budget and also massive changes to ‘relocation’ allowances for non-teachers. A council spokeswoman said that a new travel policy had been approved this year which aims to reduce the amount spent on foreign travel. She added: Due to financial constraints all expenditure for travel costs and staff resource has to be thoroughly considered in respect of the cost and benefits against council priorities and outcomes and this is what the policy sets out to do.